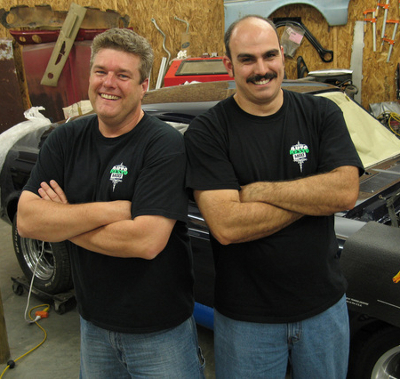 In our first show of 2013 our guest was with Jeff Ford, host of the online restoration TV show AutoRestoMod. 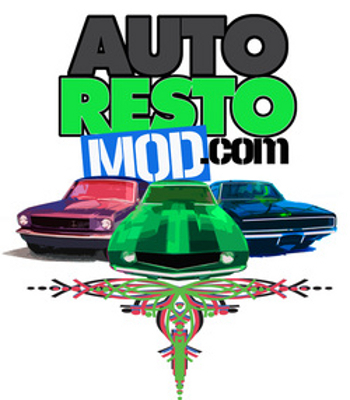 AutoRestoMod is a WEEKLY online restoration TV show that teaches tips, tricks, and techniques that all muscle car restorers and fans can benefit from! During our interview Jeff shared some of his background. When he was a child his mother would comment, “If they opened up your head, little cars would pour out”. This was a forewarning about his future with automobiles! He’s lived all over the country and has mainly been involved with the automotive industry in journalism and publishing. He worked at Source Interlink where he was (among other things) the editor of Mustang Monthly. As his career progressed and he was searching for new opportunities he noticed that more and more people in the 55 to 70 age range were logging on to YouTube and looking for automotive related information. This knowledge, and the show Film Riot inspired Jeff and his cousin Gina Witters (along with husband Vince Witters) to start their own weekly internet TV show. Jeff said he found that producing a weekly show is rather daunting, but they have been able to do it regularly since 2010. Donations of equipment, and a premier sponsorship from National Parts Depot has allowed them to produce a TV quality show with plans to expand in the future. Jeff answered some listener submitted questions regarding how and where the show is produced. He also let us know that AutoRestoMod is a highly volunteer production with many people working on it after their normal job is done for the day (Jeff himself is the only full time employee). You would never know it to look at the results. Steve Park, our most recent COMP PERFORMANCE GROUP gift certificate winner! 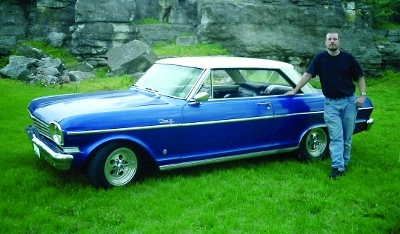 Steve is the owner of a beautiful Chevy Nova and the $750 will help make it even better. Go to www.themusclecarplace.com/contest and fill out the details there to enter the contest. Be sure to use the links in the contest to share it on Facebook, Twitter, and your own websites. For everyone that joins the contest because of your referral, YOU GET MORE ENTRIES! Answer the bonus question given out in this podcast show. E-mail your answer to bonus@themusclecarplace.com for an additional 20 points! The next winner will be chosen on March 1, 2013!